A true traffic stopper. 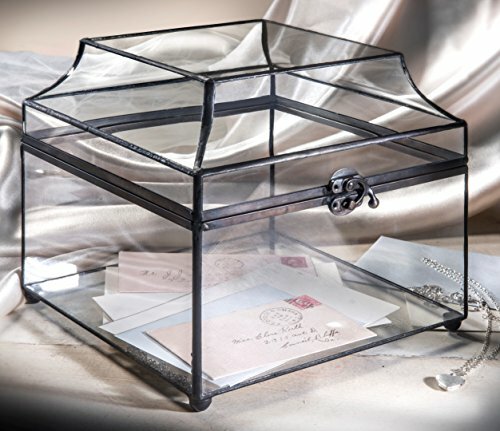 This uniquely shaped clear glass wedding card box features a antique brass latch, balled feet and elegant trim. Bent glass panels in the top add interest and sophistication while allowing you to showcase a range of treasures and trinkets. Elegant glass display case with curved glass top perfect for home decor, wedding memorabilia, wedding card holder. Designed and Manufactured by J Devlin 9 1/2" x 9 1/2" x 8 1/2"